Roger Lacourière was an accomplished taille doucier (engraver), who taught the likes of Picasso, Matisse and Dali. Of Lacourière JBW wrote: 'there is nothing he likes better than to initiate a young artist, or an older one for that matter, into the secrets of the profession. A quick masterly demonstration will save the artist weeks of fumbling experiment…'. From him, JBW learnt how to engrave on copper, other intaglio and etching techniques, including the skill of creating a background tone by hand-wiping the ink over the unworked portions of the plate. Here is JBW's article on Lacourière, including thoughts on the virtues of publishing éditions de luxe using component artists. 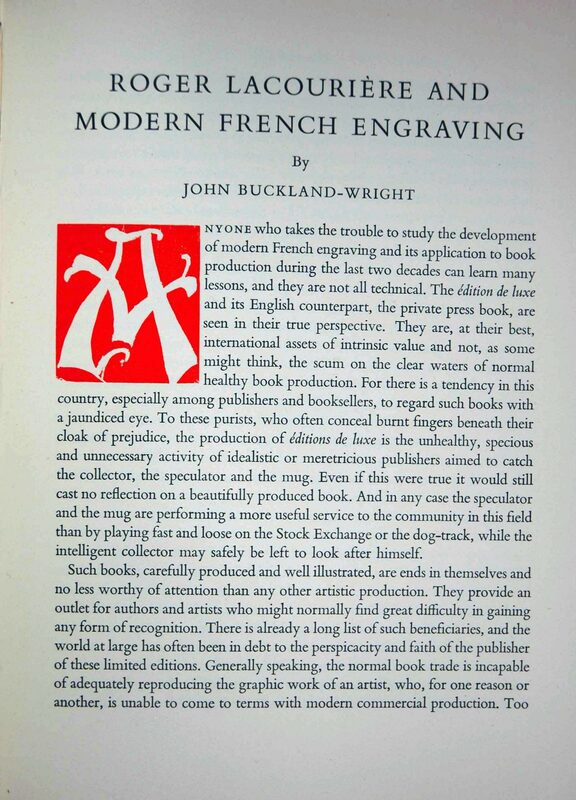 John Buckland Wright 'Roger Lacourière and Modern French Engraving', Signature, Vol. 6 New Series, 1948. Journal Z 119 S53. 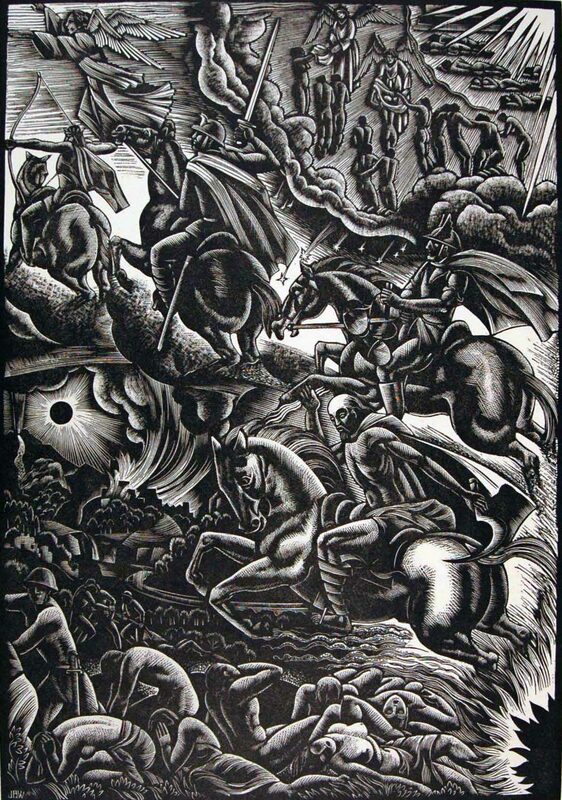 After reading D.H. Lawrence's Apocalypse, JBW began a suite of woodcuts to accompany an edition of The Apocalypse of St. John the Divine. Proposed by Stols and his Halcyon Press, this work was never published due mainly to the financial downturn following the stock crash of 1929-30. Only four engravings were completed, of which this is number III. It certainly reflects JBW's superb skill as an artist. Plate III, The Apocalypse of St. John the Divine, 1931. Private Collection. 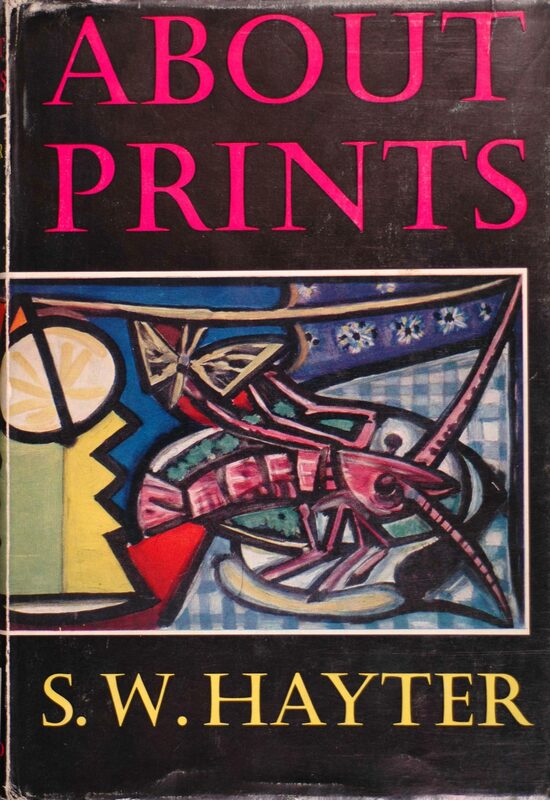 S. W. Hayter, About Prints. London: Oxford University Press, 1962. Brasch NE 850 HD55.